Slavery or Abolition? You want to find the middle? Genocide or peace? You want to find the middle? Minutes after this story was published, news reports confirmed that multiple people at a synagogue in Pittsburgh had been killed by a gunman. The gunman taken into custody has been linked to anti-Jewish and anti-immigrant posts on social media. At least 11 people were killed and six injured at the Tree of Life synagogue. President Donald Trump is a threat to national security. He preaches hate. He incites violence. He inspires attacks. We knew this before Friday’s arrest of Cesar Sayoc, who has been charged with a number of crimes in connection with more than a dozen pipe bombs sent to the nation’s most prominent Democrats, among others. As my colleague Trevor Aaronson has written, Sayoc is “a fervent Trump supporter.” Check out his van; his posts on social media; the testimony of his colleagues. I have no doubt that Trump helped radicalize Sayoc. Yet Trump apologists are keen to distance their hero from this particular villain. So too, of course, is the president himself. “We have seen an effort by the media in recent hours to use the sinister actions of one individual to score political points against me,” Trump said at a campaign rally on Friday evening. “One individual”? Who is he kidding? Sayoc may be the latest individual to have combined his love for Trump with a love for violence against Trump’s opponents, but he is far from the first to do so. 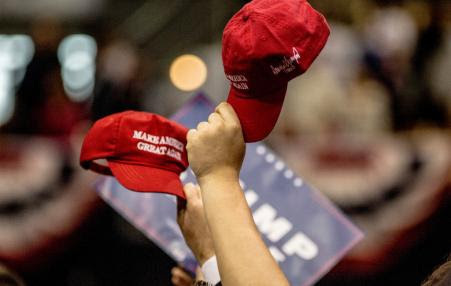 In fact, there have been a number of violent threats, attacks and killings linked to Trump supporters in recent years — few of which have dominated the headlines in the same way as Sayoc’s alleged attempt to assassinate top Democrats, including two former U.S. presidents. Since the summer of 2015, a bevy of Trump supporters, fans and sympathizers have beaten, shot, stabbed, run over and bombed their fellow Americans. They have taken innocent lives while aping the president’s violent rhetoric, echoing his racist conspiracy theories and, as in the case of Sayoc, targeting the exact same people and organizations that Trump loudly and repeatedly targets at his rallies and on Twitter: Muslims, refugees, immigrants, the Clintons, CNN, and left-wing protesters, among others. We cannot allow Trump’s apologists on Fox News and in Congress to pretend that this was a one-off; that the charges against Sayoc aren’t part of a growing and disturbing trend of violent crimes against minorities and the media perpetrated by far-right, pro-Trump individuals and militias. So here is a (partial) list of Trump supporters who are alleged to have carried out horrific attacks in recent years — some of them seemingly inspired by the president himself. On 19 August 2015, Scott Leader, 38, and his brother, Steve Leader, 30, attacked a homeless man in Boston who they wrongly believed to be an undocumented immigrant. On October 14, 2016, the FBI arrested three men — Patrick Eugene Stein, Curtis Allen, and Gavin Wright — for plotting a series of bomb attacks against the Somali-American community of Garden City, Kansas. Calling themselves “the Crusaders,” they had planned to launch what the Guardian said “could have been the deadliest domestic terror attack since the Oklahoma bombing in 1995,” the day after the November 2016 presidential election. Two of these three men were open supporters of Trump, and obsessed with anti-Muslim, anti-refugee conspiracy theories. For Stein, according to a profile in New Yorkmagazine, Trump was “the Man.” Allen wrote on Facebook: “I personally back Donald Trump.” The trio even asked a federal judge to boost the number of pro-Trump jurors at their trial (at which they were found guiltyof conspiring to use a weapon of mass destruction and and of conspiring against rights). Trump’s response? The president, who once suggested that Americans had “suffered enough” from an influx of Somali refugees, has never been asked about these three militiamen and has never condemned their plot. On the evening of January 29, 2017, Alexandre Bissonnette opened fire on worshippers at the Islamic Cultural Center in Quebec City, Canada, killing six of them and wounding 19. Bisonnette, 27, was obsessed with Trump — he searched for the president on Twitter, Facebook, Google and YouTube more than 800 times between January 1, 2017 and the day of the shooting. A former university classmate told the Toronto Globe and Mail that he “frequently argued” with Bissonette over the latter’s support for Trump. In his police interrogation video, Bissonnette can be heard telling officers that he decided to attack the mosque after Canadian Prime Minister Justin Trudeau tweeted a message of welcome to refugees in the wake of the U.S. president’s travel ban — which was issued two days before the mosque attack. Trump’s response? The president may have expressed his condolences to the Canadian premier in private, but he has never publicly mentioned the shooting, the killer or the six dead Muslims. Back in 2017, Hari, who owns a security company, submitted a $10 billion proposal to build Trump’s wall along the U.S.-Mexico border. “We would look at the wall as not just a physical barrier to immigration but also as a symbol of the American determination to defend our culture, our language, our heritage, from any outsiders,” Hari said. Sound familiar? On August 12, 2017, a car crashed into a crowd of peopleprotesting a neo-Nazi rally in Charlottesville, Virginia, killing 32-year-old Heather Heyer. The alleged driver of the car, James Alex Fields Jr., has been charged with, among other crimes, hit and run and first-degree murder. Trump’s response? The president called the neo-Nazis in Charlottesville “very fine people” just three days after Fields allegedly killed Heyer. On January 9-10, 2018, 19-year-old Brandon Griesemer allegedly made 22 calls to CNN. In four of those calls, the part-time grocery clerk from Novi, Michigan, threatened to kill employees at the network’s Atlanta, Georgia, headquarters, according to a federal affidavit. On the afternoon of February 14, 2018, 19-year-old gunman Nikolas Cruz shot and killed 17 students and staff members at Marjory Stoneman Douglas High School in Parkland, Florida. Cruz also posted a photo of himself on Instagram wearing one of Trump’s signature red MAGA hats, with an American-flag-colored bandana covering the bottom half of his face. Former classmates have confirmed that he also wore the red Trump hat to school. Trump’s response? The White House has never confirmed or denied whether they received, or responded to, a letter from Cruz. I could go on and on. I could tell you about Jeremy Christian, who allegedly stabbed two people to death on a train in Portland, Oregon, and said “if Donald Trump is the Next Hitler then I am joining his SS”; or James Jackson, who confessed to fatally stabbing a homeless black man in New York, and subscribed to far-right YouTube channels that support Trump; or Sean Urbanski, who allegedly stabbed a black U.S. army lieutenant to death, and “liked memes about Donald Trump”; or Dimitrios Pagourtzis, who allegedly killed 10 people at Santa Fe High School in Texas, and who followed only 13 Instagram accounts, including the official accounts for the White House, Trump, Ivanka and Melania. The truth is that the sooner we all recognize that the president of the United States is helping to radicalize a new generation of angry far-right men, the better. It would be wrong, of course, to blame Trump and Trump alone for these attacks. Many of these alleged attackers have mental health issues; quite a few of them were also men of violence, intolerance and bigotry long before Trump launched his political career. To pretend, however, that the president has nothing to do with these violent criminals or their violent crimes is absurd. To compare the sheer number of Trump supporters who have been charged or convicted for attacks and attempted attacks on Muslims or Latinos or journalists with the single supporter of Bernie Sanderswho shot Republican congressman Steve Scalise in June 2017 is disingenuous. To ignore the way in which Trump has set the vicious tone and created the toxic climate is shameful. The president may not be pulling the trigger or planting the bomb but he is enabling much of the hatred behind those acts. He is giving aid and comfort to angry white men by offering them clear targets — and then failing to fully denounce their violence. Is it any wonder then that hate crimes are on the rise? Or that, as one study found, “one in five perpetrators of hate violence incidents referenced President Trump, a Trump policy, or a Trump campaign slogan” between November 2016 and November 2017? Cesar Sayoc was not the first Trump supporter to allegedly try and kill and maim those on the receiving end of Trump’s demonizing rhetoric. And, sadly, he won’t be the last. I am a professor of teacher education, I teach teachers. It feels sometimes that declaring that one is a teacher educator is like confessing, “I am an alcoholic.” So despised are teachers, and teacher educators, in the manufactured dominant narrative, that we often present ourselves defensively, if not apologetically. I prepare (mostly) young idealistic people to begin a career of working with young people, from kindergarten through twelfth grade — doing everything from fostering wonderful ideas to pursuing inquiry to counseling youth in crisis to negotiating bureaucracies to . . . the list goes on and on. The demands for greater accountability, the regime of standards and tests, which have been torturing students and teachers for at least three decades are now coming to teacher education programs with a vengeance. The testing and accountability mania begins with a drumbeat of complaints about inadequate outcomes; proceeds to a declaration of crisis; and ends with the whole enterprise in the hands of private corporations more interested in selling off the public space to private entities than in teaching or in developing strong communities. Marilyn Cochran-Smith of the Lynch School of Education at Boston College has led a group of researchers in a study resulting in the important book,Reclaiming Accountability in Teacher Education. They have produced a stunning evaluation of the new mandates placed on teacher education. Their most striking finding is that none of the initiatives impacting teacher education are based on any research whatsoever. That bears repeating: without research, proof, or evidence, states have rushed to create layer after layer of gatekeepers through testing, curricular intervention, and inspection — and called this accountability. As an aside, let me note that Cochran-Smith and all teacher educators I know are interested in accountability — an accountability to communities, to students, and to schools for helping to develop first rate teachers. Such teachers should be passionate about understanding students and their subject matter, committed to democracy and equity, and reflective as they constantly strive to improve their practice. Positive outcomes will be different in different communities and at different times, but can certainly be tracked through teacher education programs that are closely engaged with local schools. Reclaiming Accountability in Teacher Education shows how the current mandates de-professionalize teacher education. The very language of teacher education accountability is saturated with market ideology and a “human capital” paradigm (which sees humans as individual, rational economic actors, to be deployed and moved around for profit). It used to be that the term “accountability” meant the state’s responsibility to see that resources were supplied to support strong school programs, which is not the case today. Unless you are inside the teacher education colleges, it’s hard to imagine the many layers of accountability, the mandates, the requirements placed on these programs. Let me enumerate what we face in California. I’m leaving aside for now the lowered expectations, the simpler pathways, created by the market-based reformers for the quickie teaching credentials. For while university-based credentialing is under attack, the marketeers happily push through simplified pathways to credentials for education hustles like Teach for America. At each step of the mandates regime, more powerful and inspiring potential teachers, more teachers of color, more working-class teachers, are blocked from going into the profession. At each step, the definition of teaching is narrowed from a broad project of creativity and curiosity to a narrow training for business-friendly skills. And since the state holds the power to grant or withhold credentials, it is difficult to defy these demands. To do so would mean that our students would not get teaching credentials. You should note that university-based teacher education is closely monitored from the get-go. We have a thorough accreditation process — which requires a periodic three-day visit by a team consisting of state officials from the California Commission on Teacher Credentialing (CTC) as well as other teacher educators. The inspection includes rigorous review of our curriculum, pathways, and outcomes. They interview faculty and students. They visit classes and check out the field work practices. In addition to this, the CTC prescribes the basic sequence of required courses for a credential, as well as the student teaching field work (extending over two semesters) which we are responsible to supervise and evaluate. But you would be wrong, terribly wrong. For here are the other hurdles and gatekeepers. 3) Standardized tests required before starting a program. Before candidates are admitted into a teacher education program, they must first pass the general preparation test, the California Basic Educational Skills Test (CBEST), and then the subject-specific battery of tests, the California Subject Examination for Teachers (CSET). Someone is making big money here — and that someone is a private corporation which the state pays millions to, Pearson Education, Inc. Of course, the future candidates must pay Pearson too. It costs $150 to take the CBEST and $300 to $400 to take CSET, with $100 to be paid again for any section you need to retake. Requiring no critical thinking, these are basic dull-minded tests, with gotcha questions and obscure details as well as an emphasis on the kind of material that defined the disciplines fifty years ago. They are difficult tests to pass. I would love for us to require our legislators to take these tests (they could pick any subject) and have the results published. More importantly, these tests stop candidates before they can even sign up for classes. Aspiring teachers, even ones with a college degree in the discipline area, have been knocked out of the process at this stage. As with most standardized tests, the implicit bias in discourse and framing succeeds in blocking many students of color and working-class students. These are the ones, the excellent teachers, who should be in classrooms in schools today. But they never even get to start. We at University of San Francisco have initiated a cram and strategizing class for the CSET test, free of charge to those who are applying. Again, while we object to the game, we have no way around it now, and we work extra hard to get our students through. 4) Teacher Performance Expectations (TPEs). There are approximately 70 of these expectations. One can imagine a group of writers, probably academics making some side money, sitting in a room generating lists of what teachers ought to know. It’s so easy and so banal. How much is each person in the room paid? Never mind that real teachers learn their craft in about five years of classroom work. They take the insights they have gained as well as the habits of reflection and development they have learned to continually grow in their professional practice. The idea that the seventy expectations will be injected into their eager minds during the credential period, well that’s just silly. Not only must each syllabus in teacher education classes contain a declaration of which TPEs are covered in that class, but the syllabus must indicate which week, which specific class, will “cover” each of these expectations. In order to maintain our ability to get our students credentialed, of course we go along with this. The truth is, it is not so difficult to assign these TPEs — since they are all issues we address as a matter of course. You might imagine that this is enough. There is so much surveillance on teacher education that certainly the CTC would be satisfied. No, apparently this is not enough surveillance. We also have a new layer of “accountability,” a new state rewired assessment known as the Teacher Performance Assessment (TPA). Developed at Stanford University’s Center for Assessment, Learning, and Equity, the TPAs purport to do better than the dumbed down standardized tests. Instead, they will allow candidates to actually plan lessons, teach lessons (and videotape them), adapt lessons, and reflect on lessons. Good goals all, but don’t forget these are things we ALREADY DO. They are done in all teacher credential programs, but in a process embedded in critical class study and field experience. The TPAs consist of four sections, two administered during Student Teaching I and two during Student Teaching II. Since these are assessments that will determine whether one gets a credential, the candidate’s focus shifts completely to finishing these rather than the progression of reflective work in the seminars, essentially turning to the TPA writing test and brief video clips. Each stage requires a long write-up, usually 30 to 60 pages long. While the terms are routine, the time required to get it done dominates the focus. In other words, the TPAs have colonized and overpowered our curriculum — marching into our classrooms and dictating how the work should be done. And, while the first rollout of TPAs were locally evaluated with locally hired assessors to review the submissions, this also has been farmed out to Pearson, which hires anonymous assessors. To maximize profits, the assessors are paid $20 per evaluation, so you can imagine the kind of (non) seriousness it is graded on. These standardized and outsourced teacher performance assessments present the same problems as high stakes standardized tests do for K-12 students — for instance that standardized assessment rubrics tend to be reductive, leaving out much of the complexity necessary to evaluate teacher performance for our diverse classrooms, and privileging dominant cultural norms that reproduce inequities. And it is obvious that credential candidates’ attributes such as kindness, promotion of social justice, the ability to think on one’s feet, or to adjust teaching to the exigencies of the moment are not assessed or assessable by the TPA. In the pressure to complete the TPAs, candidates turn from work on these aspects of teaching to the narrow, transmission-of-information, training vision of teaching. The very performance of TPA compliance, argues a position paper from the National Association of Multicultural Education, presents credential candidates with a “hidden curriculum” that mandates teaching as a process of obedience to prescribed mandates rather than critical thinking and empowerment. It marginalizes the contributions of teachers, supervisors, and school administrators that should be central to teacher development and it crushes opportunities to learn to teach through critical dialogues and feedback from peers. And it represents an encroachment of corporate control into the intensely personal, human, humane, and democratic endeavor that is public education. Teacher educators, then, are not invited to do our job but are acting as glorified clerks, administering the mandated curriculum, the non-tested and non-researched curriculum, of these agencies. The imposition of these mandates is faith based, relying on a general idea that this type of gatekeeper would be a good idea. Of course educational research and the struggle for equity in education is a dynamic and ever-changing field. But the demands of the credentialing agency (and Pearson, Inc.) make sure that the important principles are set in stone. When these assessments were first being developed, a study at University of California Irvine (Sandholtz & Shea, 2012) found in fact that supervisors’ predictions of scores (drawing on their observations of candidates in classroom teaching and other work with them) often negatively correlated with high scores on performance assessments. In addition, most of the candidates who supervisors predicted would fail the assessment ended up passing — so the assessment is not useful in ferreting out those who might not be effective teachers. It turns out that many excellent student teachers are pouring their focus into their students and give scant attention to the long, obligatory write-ups. And some of those who are struggling in their daily classroom work find solace in long hours in front of the computer completing assessment reports. In addition to the TPA assessment, multiple subjects (elementary) teaching candidates must pass the Reading Instruction Competence Assessment (RICA). Pearson has taken this one over too. The acronyms abound, from Council for the Accreditation of Educator Preparation (CAEP) to National Council on Teacher Quality (NCTQ), each one designed to ferret out bad preparation, each one piling on with a narrative of incompetence in schools of teacher ed. The self-appointed NCTQ is an outfit that has partnered with US News and World Report to rank all teacher education programs. Like their ranking of colleges, such list-making not only reduces complex factors to silly competition, it also allows corporate interests to highlight the qualities they value for education without any input from parents, communities, educators, or elected political bodies. The editorial writers repeat the “finding” of NCTQ that only ten per cent of teacher education programs are rated as “adequate.” Those findings mask a noteworthy fact: the vast majority of teacher education programs, including many of those at the most respected universities in the nation like Harvard and Stanford, refused to participate in the survey and thus were rated “inadequate.” All of these initiatives have been analyzed by educators and found fundamentally flawed if not fraudulent. Teacher education certainly has ample and extensive room to improve. Outside of the big megaphones wielded by the foundations and the millions of dollars bestowed by government “reform” projects, teacher educators continue the work on the ground, just as teachers in K-12 classrooms fly under the radar, doing effective work by enacting what Neil Postman called “subversive” teaching. Powerful examples of deep teacher education can be found, as in the recent book, Confronting Racism in Teacher Education: Counternarratives of Critical Practice (Picower & Kohli, 2017). If we really want to invest in teacher education, we need to listen to teachers like them. As a result of all these top-down state and privately funded initiatives, we find ourselves constrained more and more by these many layers of mandates, controls, and assessments. Each one moves teaching away from the broad and creative art that is needed into a narrow training program based on a transmission of information. But in the end, the data will not support the proposition that such training programs produce better results, even by their own pathetic measures. While we struggle to correct these overreaches, soon it will be too late, as thousands of teacher education programs will be shut down or harnessed to the corporate reform agenda. The effect of these efforts certainly is not to make teacher education programs serve the needs of communities. Instead, they serve to make the teaching corps even more remote from, alienated from, and ineffective with communities. You are currently browsing the Bill Ayers blog archives for October, 2018.